Have a tattoo you would like to remove or faded down? Many people have unwanted tattoos, or tattoos that they would like faded down in order to cover them up with a new design. At FadeAway we offer the latest laser technology for the fastest and safest removal of your unwanted tattoos. Our lasers utilise the latest in Q switched technology. 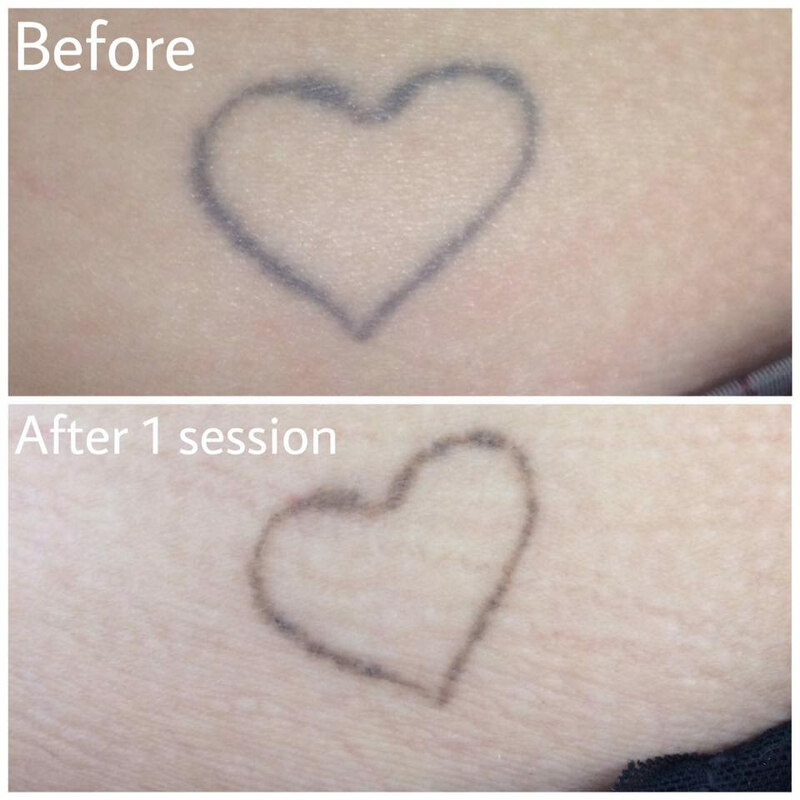 This is the industry ‘Gold Standard’ and is the fastest, safest and most reliable method for tattoo removal. Why book a Tattoo Fade down with FadeAway? I am an experienced Laser Tattoo Removal Practicioner. I see a large number of people each week for both full tattoo removals and also tattoo fadedowns. I have completed the most up to date and advanced laser tattoo removal training available in the UK. I work alone to keep costs down for customers but this often means that as I am very busy with clients I cannot always answer telephone or email enquiries during the working day but I always return calls and emails in the evening. I have introduced an online booking system so that customers can choose convenient time slots for themselves. All questions you have will be fully answered during the free consultations and I can guarantee that you wont find more affordable laser tattoo removal for the quality that we offer. View my online booking form to book a free consultation or take advantage of our amazing value tattoo removal sessions. Also view some of our other tattoo removal pages to see answers to the questions that I am most often asked by new clients. Thank you for visiting FadeAway Laser Clinic and I hope to see you soon.